Belgrade Club Ludost, Nightlife & Party. Belgrade things to do. 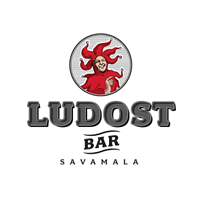 Belgrade club Ludost (Craziness) represents younger brother of club Mladost (youth). Ludost is a small Belgrade club. It is a mix of a bar and a Club. For many clubbing people, this is the place! Designed to be more comfortable version of Mladost, Ludost is a place for people that enjoy electro house music. There is always great atmosphere and fun never stops. Interior design is in minimalist spirit, and everything is designed with wood and leather. This place is often work as a after-party place, sometimes it gets crowded not before 2 am. Ludostis on the same address as Mladost, and these two clubs are connected with hall. So if you attend one party, you can attend another one as well. Belgrade Club Ludost offers tasteful beverage, great party and wild fun. When you are young, it’s normal to be crazy!